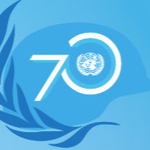 May 29 marks the International Day of United Nations Peacekeepers. Since the first UN peacekeeping mission was established on May 29, 1948, the UN has launched 71 peacekeeping operations across the globe. Approximately 125,000 UN peacekeepers serve in 16 active missions today. As the UN Office of the Special Advisers on the Prevention of Genocide and the Responsibility to Protect highlight in their newly updated Framework of Analysis, peacekeepers “are particularly exposed to the violence that accompanies periods of conflict due to the key role they play in the protection of human lives.” As such, the UN considers threats against peacekeepers as an important factor to consider when assessing the risk of atrocity crimes.